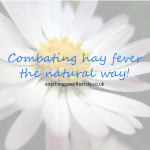 There is nothing like being prepared and the way the last few years have been, it’s difficult to tell when hay fever symptoms may strike! We’ve looked into some remedies into helping you cope this year. Vaseline, Ocado, 100ml, £1.99: The NHS recommend rubbing a small amount of vaseline to the inside of your nostrils which can aid in preventing pollen getting into your nasal passages which ultimately flares your symptoms. Local honey- There has been quite a bit of speculation over the years about the effectiveness of taking a teaspoon of local honey to help combat hay fever symptoms. Apparently, a spoonful a day helps you to develop an immunity, it’s only speculation but well worth the try! If you’re interested in finding out more, this article by the Telegraph is well worth a read. Much like ingesting a daily spoonful of honey, Forever Living have developed a tablet form of Bee Pollen. 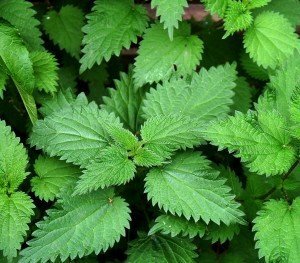 Not only is it said to aid with combating hay fever but increase your stamina and energy! Much like having a cold, hay fever carries much of the same symptoms so increase your vitamin C intake, munch on spicy foods to clear nasal passages and dose up on antioxidant rich foods. Check out our article on colds for more information. Sterimar Nasal Spray– this is a sea salt spray that acts as an anti-inflammatory, antiseptic and anti-allergy. Not only will it clear congestion but will offer a pollen protection.